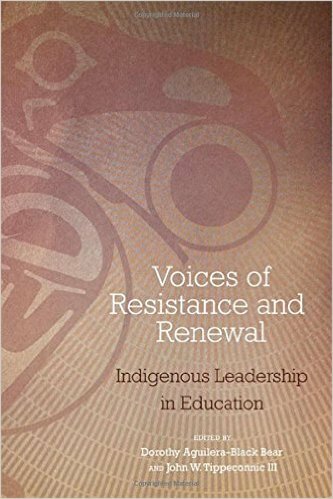 Abstract: Dedicated to the principle that leadership must come from within the communities to be led, Voices of Resistance and Renewal applies recent research on local, culture-specific learning to the challenges of education and leadership that Native people face. Bringing together both Native and non-Native scholars who have a wide range of experience in the practice and theory of indigenous education, editors Dorothy Aguilera–Black Bear and John Tippeconnic III focus on the theoretical foundations of indigenous leadership, the application of leadership theory to community contexts, and the knowledge necessary to prepare leaders for decolonizing education. Thsi volume provides a variety of philosophical principles that will guide leaders at all levels of education who seek to encourage self-determination and revitalization, and it has important implications for the future of Native leadership, education, community, and culture, and for institutions of learning that have not addressed Native populations effectively in the past.